American DJ/producer BORGEOUS is on the go artistically as much as he his literally always on the move. 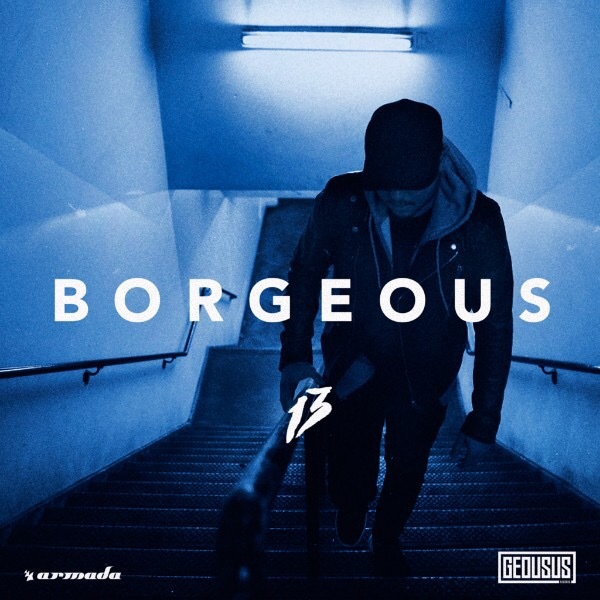 While “Tsunami,” a collaboration with DVBBS fits securely into the realm of festival EDM, BORGEOUS possesses musical prowess far beyond the genre. His debut album 13 out today (August 13) via his newly launched label Geousus Records (pronounced jus-us), in conjunction with Armada Music proves it. The album is a sprawling collection that highlights the platinum-selling, two-time JUNO nominated artist’s diverse abilities, with sounds ranging from EDM, to house, to indie electronic and pummeling drum & bass. 13’s collection of collaborators and featured vocalists exemplifies this variety, with guests including Jamaican superstar Sean Paul (“Ride It”), 7 Skies featuring Neon Hitch (“Lost & Found”), Fatman Scoop and Dia Frampton. Impacting radio now, “Wanna Lose You”–a collaboration with Australia producer TyDi–is perhaps 13’s most gentle moment, featuring emotionally resonant vocals, piano flourishes and a softly stirring build. “Higher,” is a brightly soaring dance anthem sure to get many arms in the air this summer. “Savage,” with Riggi & Piros featuring Lil Jon, is an aggressive club banger anthem that plays exactly like the title suggests.